Every three weeks, a few select bloggers will be showcasing how their body looks fabulous in a Karina dress. Karina Dresses truly are made for every body! 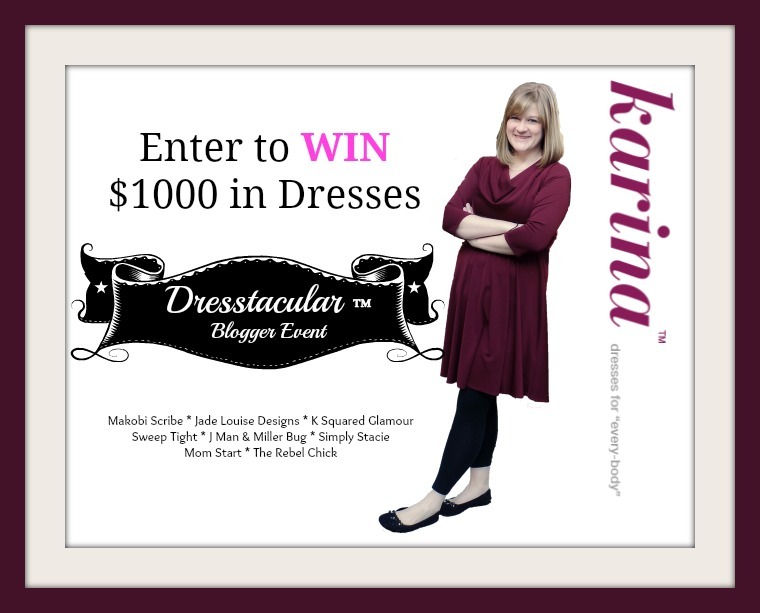 To get our readers excited about this Dresstacular™ event, we are giving away $1000 in Karina Dresses to one US or Canadian winner. Each week we will target a different social media platform for you to give our Dresstacular™ bloggers a shout out! This week we are going to focus on Pinterest! Karina is on Pinterest, and she would love it for you to drop by and say hi! Use @KarinaDresses and #Dresstacular to let her know your favorite dress from the bloggers below! You can also get 100 entries a day by commenting on each of the bloggers posts from the linky below! It would be nice to win. I do not even own a dress at this time.